Bart Mos, from The Netherlands (born in The Hague, 1957) has been employed by Amsterdam Airport Schiphol since 1998. He was then appointed Corporate Security adviser, which changed to Sr. Security Officer in 2006. Before that, he worked for the Dutch Ministry of Transport and Public Works from 1976 till 1998. From 1980 till 1998 at the Department of Civil Aviation in various jobs. He was national security adviser civil aviation at this Department from 1989-1998. During that time he was, among other things, the representative for the Netherlands in the Security Working Group of the European Civil Aviation Conference (ECAC). At that time he worked closely together with other governmental organisations, like FAA and ICAO. Working for Amsterdam Airport Schiphol/Schiphol Group he was, amongst others, Chairman of the Aviation Security Committee of Airports’ Council International (ACI) Europe from 2001-2005. He was also (vice-)Chairman of the ACI World Security Committee from 2005 till 2009. 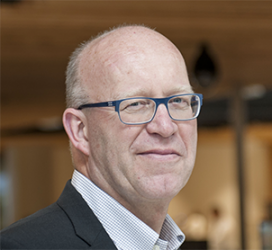 He still represents Amsterdam Airport Schiphol in the different ACI Security Committees, like ACI Europe, the Strategy Group and the World Committee. He has represented ACI Europe in the EU SAGAS (stakeholders) Committee from 2002 till 2010. After that he was amongst others chairman of the ACI LAGS Committee and at present chair of the ACI Risk Based Task force.